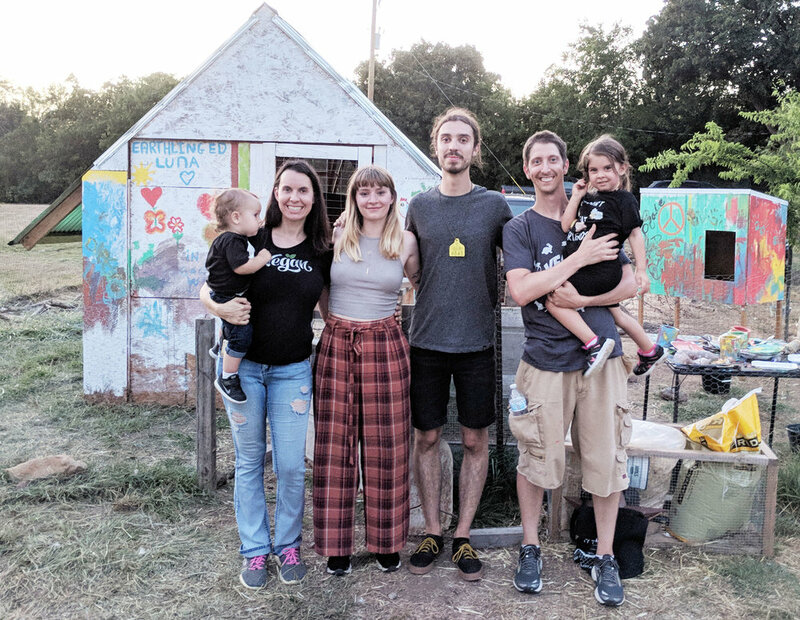 In June, Daly, Earthling Ed, Luna Woods and Denise Mancinas (tour co-organizer) toured Austin, Houston and DFW for a week and a half. At each of the cities, Ed gave a speech with a nutritional professional to educate people on both the health benefits as well as the ethical reasoning for veganism. In Austin and Dallas, in conjunction with the tour, Daly participated with members of Anonymous for the Voiceless in a Cube of Truth. Donning masks, members silently stood in a cube formation holding laptops which have numerous videos showing vivisection labs, exploited and abused animals. Daly said that people passing by can choose to keep walking or stop and see what the videos are about. Organization members are available to discuss what is being viewed with people who want to learn more. Daly feels his goal of the tour which was to make the world a kinder place and to help people choose a more ethical lifestyle was met. When they did the Cube of Truth in Dallas, they were able to tally 75 people who took veganism seriously. 350 people attended the veganism educational seminar held on June 20th at Collin County Community College. Daly said a typical meal in their home will include pasta, stir fry, plant based meats, fruits, vegetables, grains, nuts and seeds. He said the commercial industry has made great strides in the last 10 years to make the vegan lifestyle easier. His favorite recipe is Spelt-Blueberry Pancakes. Daly recommends those interested in pursuing a vegan lifestyle to visit Challenge 22’s website (challenge22.com) which focuses mainly on diet in a supportive atmosphere.